Mustard gas is a common term that may refer to two forms of mustard agents: sulphur mustard (Yperite) or nitrogen mustard. Lewisite, an organic compound containing arsenic, is another mustard agent. The VA may grant service connection for certain diseases or disabilities as the result of full-body exposure to mustard gas or Lewisite during military service. Disabilities or diseases for which service connection may be granted by presumption due to mustard gas or Lewisite exposure are listed below. As a U.S. Army biological or chemical substance testing program research volunteer between 1942 and 1975. The evidence must show one of the diseases or disabilities in 38 CFR 3.316(a) OR medical evidence that shows a relationship between a disease or disability (not in 38 CFR 3.316(a)) based on exposure to mustard gas. You must claim a disease or condition. Exposure, in and of itself, is not a condition that is subject to service connection. The VA will request and review pertinent service records for chemical exposure. Full-body testing of mustard gas or Lewisite is presumed to have taken place at the following locations in the 1940's. Camp Howze, Texas Naval Research Lab in Washington, D.C.
Great Lakes Naval Training Center, Ill. Some American Servicemembers may have participated in Allied mustard agent testing in Porton Down, England, or Finschhafen, New Guinea. 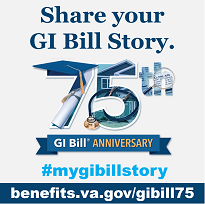 For questions related to disability compensation benefits as a result of mustard gas exposure, send an email to MUSTARDGAS@VBA.VA.GOV. The U.S. Army is now providing medical care to Veterans who served as volunteers for research involving chemical and biological testing between 1942 and 1975, and who have an injury or disease proximately caused by their participation in this testing. As many as 60,000 Veterans volunteered for medical research in order to contribute to the advancement of the U.S. Biological and Chemical Programs. The Army will assist Veterans in obtaining medical care through military treatment facilities. Eligible Veterans are encouraged to visit the U.S. Army web page at https://armymedicine.health.mil/CBTP for more information, or call 1-800-984-8523, if they have any questions or need assistance.